This is a popular Punjabi evening snack. Though , it originated in Punjab, its famous all around India. It has various variations in terms of its filling like kachori stuffed with peas or asafoetida. 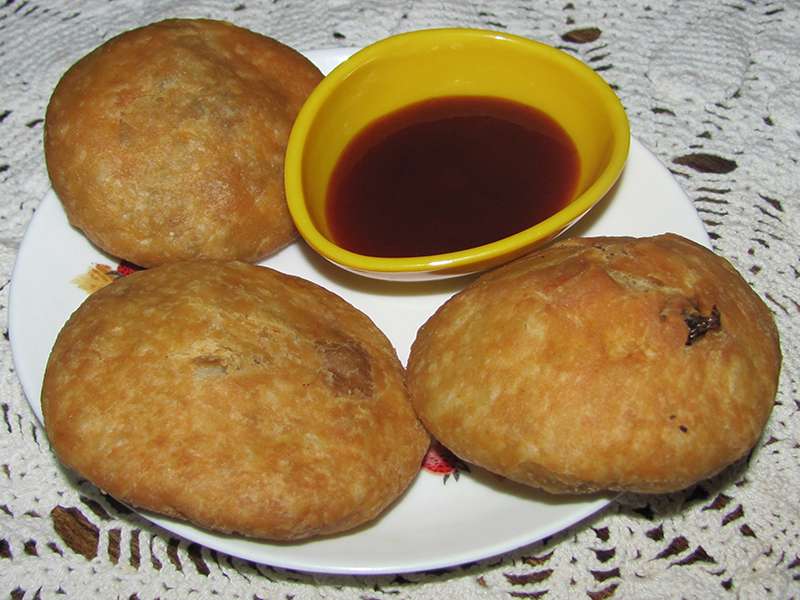 Kachori is a type of bread made with plain flour and chilled water just like a pastry dough. In a large bowl mix the plain flour, salt and oil. The mixture should resemble breadcrumbs. Add enough chilled water to form a dough. Knead for 5 minutes and rest it wrapped for 30 minutes. In the meantime, heat oil in a wok. 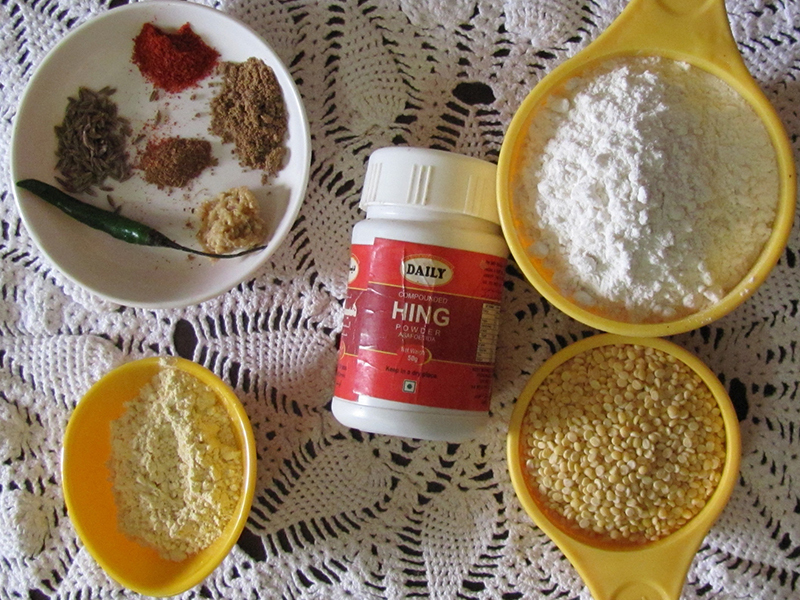 Add the cumin seeds and asafoetida. Sauté till it crackles. To this add the coarsely ground lentil, ginger paste, green chilli paste and fry for a minute. Add the gram flour, salt, red chilli powder and dry mango powder. Fry till all the moisture is dried up and the filling cooked. Divide the rested dough into 6 portions. Make a deep hole in each portion and fill it with a tablespoon of mixture each. Seal the dough and lightly flatten it. Heat sufficient oil in a wok and deep fry the kachoris till they puff up and are light golden brown in colour. Make sure to fry them in low heat as the crust is thick and will take a long time to cook.